1 The boisterous sounds of Latin American jungles echo across California. They come from flocks of brightly colored parrots of at least 10 different species that have made an unlikely home in the arid state. Their origins in California date back as far as the 1940s, when parrots arrived via the pet trade. Over time, owners are thought to have accidentally introduced them into the wild. In some cases, traders may have let large numbers loose. 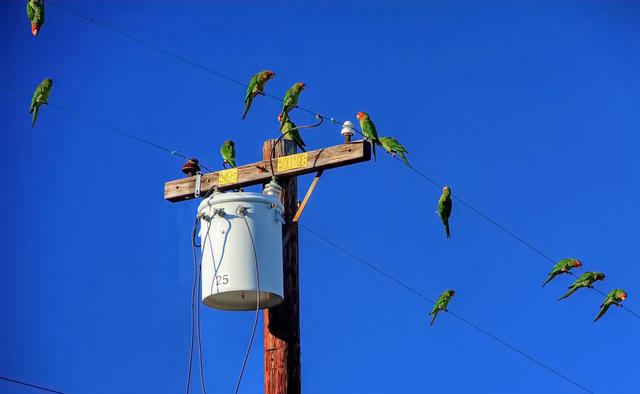 The birds — red-crowned parrots, yellow-chevroned parakeets, lilac-crowned Amazon parrots, and others — thrived from San Francisco to San Diego, thanks in part to a ready diet of nuts and fruits from California farms. While the birds are lovely to look at, their songs are not for the weak-hearted. Parrots are notorious for maniacal squawking. 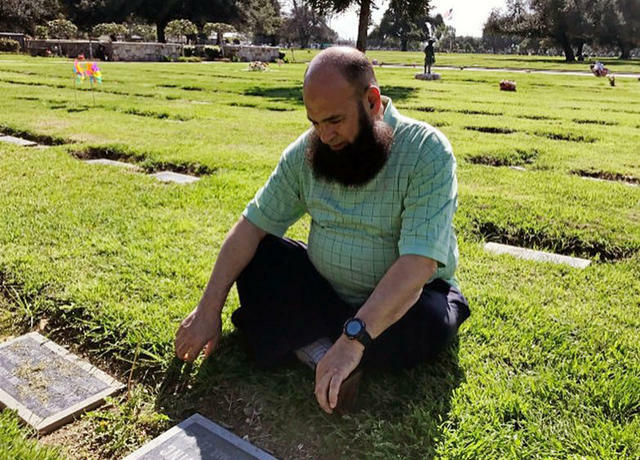 Mohamed Bzeek at the grave of a foster child whom he cared for. 2 A Libyan-born Muslim in Los Angeles County has been fostering terminally ill children since 1989. There's a dire need for foster parents to care for such children. But Mohamed Bzeek, a portly man with a dark beard and a soft voice, has been the only one in the county known to do so. Bzeek was profiled last year in the L.A. Times. He talked about the sorrow of burying about 10 children, some of whom died in his arms. "This one hurt me so badly when she died," he said looking at a photograph of a little girl in a coffin surrounded by flowers. He added, "The key is, you have to love them like your own. I know they are sick. I know they are going to die. I do my best as a human being and leave the rest to God." 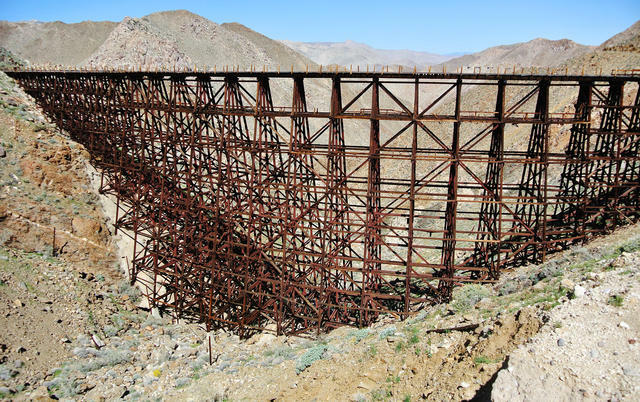 The remoteness of Goat Canyon Trestle means few have seen the engineering wonder. 3 The world's largest wooden trestle is wedged in a remote desert gorge near the California-Mexico border. Goat Canyon Trestle Bridge, spanning 600 feet and rising 200, was built in 1933 in a seat-of-the-pants engineering feat along a train line from San Diego to Imperial County that became known as the "impossible railroad." An intricate spiderweb of redwood beams, the trestle was built at a curve to resist the wind. More commonly used steel was rejected out of fear that it would buckle amid the area's severe temperature swings. The rail line was abandoned a decade ago, but its most magnificent feature has remained a big attraction for hikers who walk 12 miles roundtrip to get there. 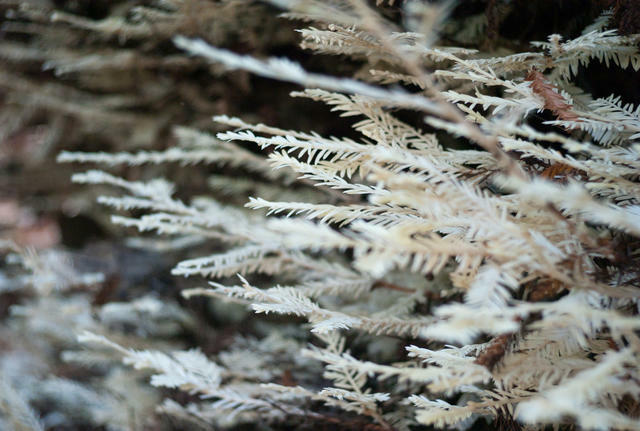 Albino redwoods are unable to produce chlorophyll. 4 They call them ghost trees. Scattered throughout California's coastal forests are redwoods whose branches and foliage are pure white. Known as albino redwoods, the are extremely rare, standing roughly the height of a man. For more than a century, their existence was a mystery to scientists. The trees lack chlorophyll, the green pigment that allows plants to make food from light via photosynthesis. They should be dead. But in the last few years, scientists have posed a fascinating theory. The trees have been found to be sucking up toxic metals from the soil, while also drawing sugars from huge host trees to survive. “They are basically poisoning themselves,” a scientist told the Mercury News. The relationship may be a symbiotic one, with albino redwoods sacrificing themselves to make the soil safer for other trees. 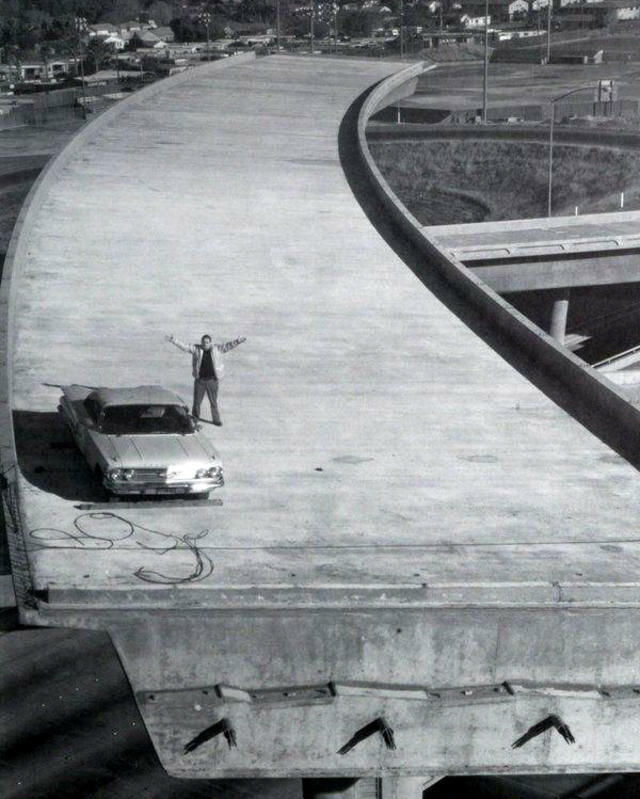 City Councilmember Joe Colla atop a truncated interchange in San Jose in 1976. 5 In 1976, a half-built interchange in San Jose had stood for years as an unsightly island 110 feet in the air. A group of activists became so frustrated by the stalled project that they conspired to pull off headline-grabbing stunt. 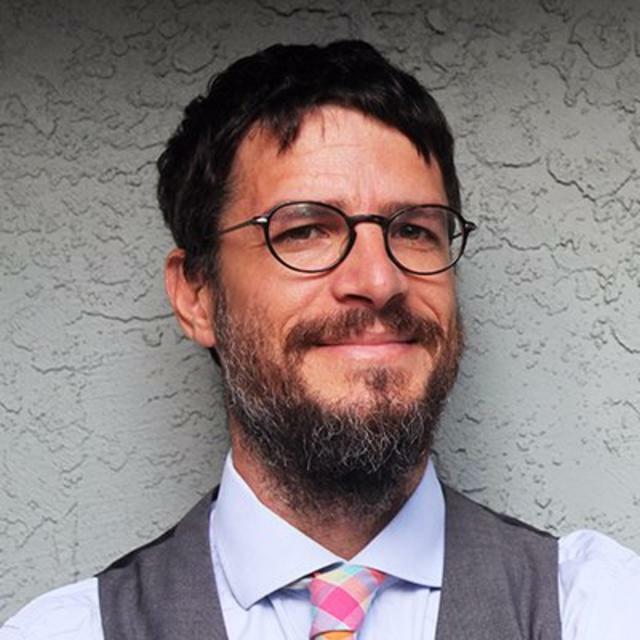 They convinced a crane operator to hoist an old Chevy to the edge of the ramp, then got a helicopter pilot to deposit an accomplice, City Councilman Joe Colla, next to it. A photo of Colla with arms outstretched above the caption "Where do we go from here" made national news. Suitably shamed, leaders in Sacramento got back to work on the freeway project. Colla died in 1995. So he sadly wasn't around a couple years ago when the county commemorated the achievement by christening the structure the Joe Colla Interchange. 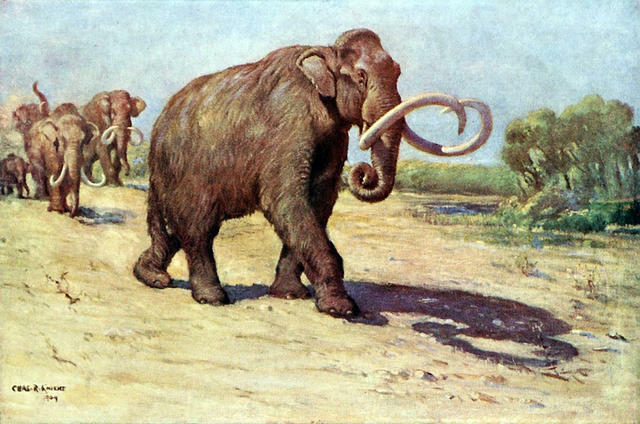 A painting of a Columbian mammoth, once prevalent in what's now California. 6 Mammoths, rhinoceroses, saber-toothed cats, and weird horselike chalicotheres once roamed Southern California. We know because their fossils were scattered across the region. Many were preserved in the La Brea Tar Pits, whose sticky asphalt was a death trap for the animals that roamed the fertile grasslands. The large land mammals died out at the end of the last ice age, between roughly 12,000 and 15,000 years ago, victims, scientists believe, of hunting and climate change.